Hey there! 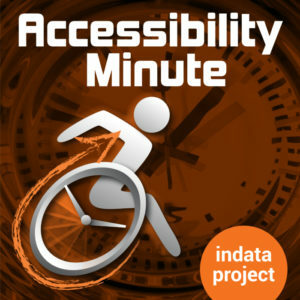 Welcome to Accessibility Minute, your weekly look at Assistive Technology, those clever tools, and devices designed to help people who have difficulties with vision, mobility, hearing or other special needs! When it comes to potty training your kiddo, consistency is the key. The Potty Watch by Potty Time does the remembering and reminding for you to help keep the schedule consistent. To use, simply set the watch for 30, 60, or 90 minutes. Once the timer goes off, the watch automatically resets for consistent reminders all day long. Visit mypottywatch.com to learn more.